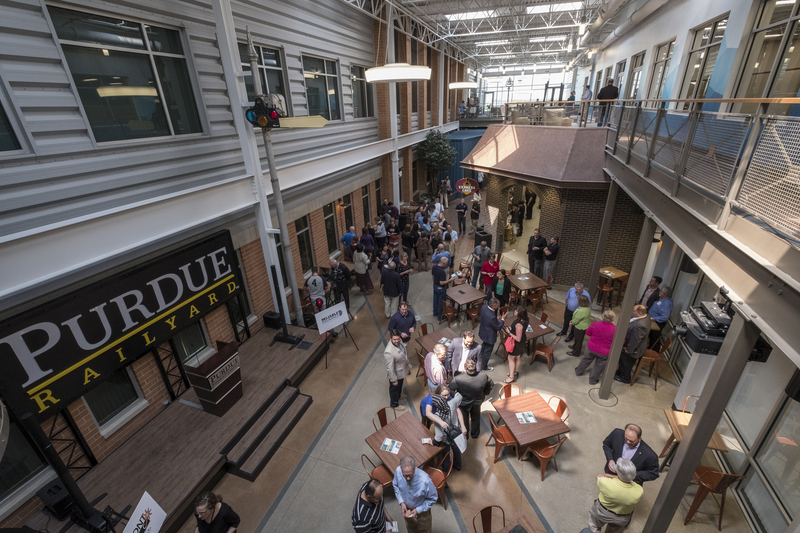 Located inside the Kurz Purdue Technology Center, The Purdue Railyard is a cospace that houses innovators, entrepreneurs and today's problem solvers. Established companies and startups alike collide in The Purdue Railyard to live, work, play and grow. Find us at 1281 Win Hentschel Blvd., West Lafayette, IN 47906. For more information or to become a member, contact Alicia South-Hurt, absouth-hurt@prf.org, 765-588-3368.